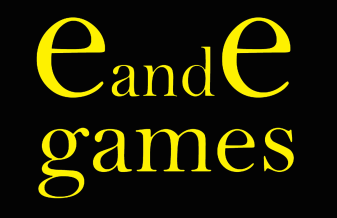 Thanks for visiting my site, EandE Games. My name is Ian, and I'm an independent game developer. Try some of my games - I think they're quite fun. Made with ESMORC and ﻿﻿hoodsandhats﻿﻿. Made in 7 days for the Music Video(game) jam, this audio-visual experience/short story game tells the story of an ill-fated diver and young girl chasing a butterfly. It's about 4 minutes long. I'm still trying to raise money to replace my possessions after an apartment fire. If you like what I do, feel free to help out by clicking here.